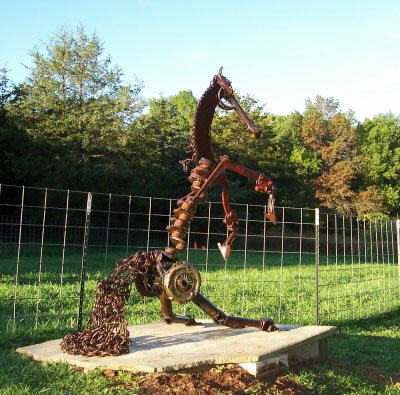 Second Chance Art is the name of the company Richard and Sheila Wieman came up with for their artwork. 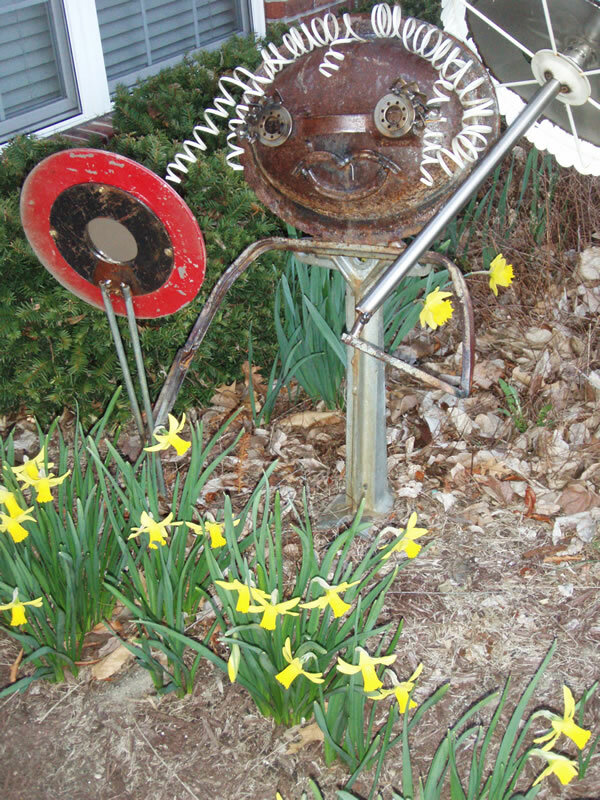 They whimsically describe their metal creations as "sculpeture" (say "scul-pet-ture," the Wiemans' term that conveys some of the fun of their creations). Most of the pieces suggest some kind of creature, if only closely enough to say "bird" or "animal", while other pieces definitely favor something much more specific such as a crane or a giraffe. Sheila is usually the designer, putting the individual pieces together into their final form, with Richard as the craftsman who does the welding. The approach to creation is different for each: Sheila must find pieces that when put together suggest a form; Richard decides on what the finished product will be, then looks for the pieces necessary. The couple names each of their "sculpetures" because each seems to have such a personality that it seems only natural they would also have an identity.